Here is the second movement of George Frideric Handel's Sonata in F major for Recorder and Basso continuo, one of the famous Opus 1 sonatas. This movement is a binary-form Allegro in common time. 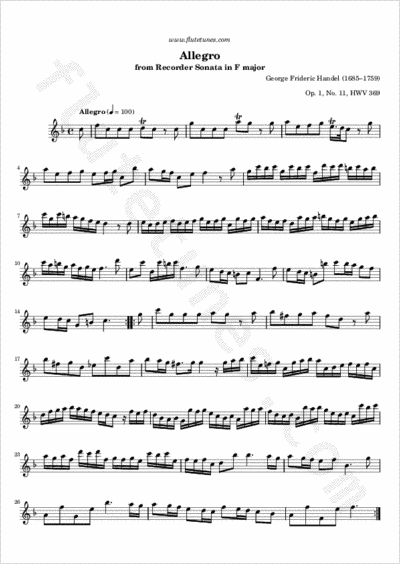 Both of its sections are quite lively, containing fast sixteenth-note passages.